The 30 second WeatherTech Super Bowl 50 Ad is online and titled "Resources." The new WeatherTech commercial drives home in an emotional way how important made in America is. 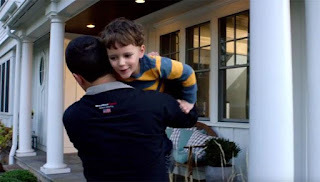 The commercial show scenes of workers and ends with a scene of a WeatherTech worker coming home and getting greeted by his son. WeatherTech is a brand of MacNeil Automotive, which was founded in 1989 by David MacNeil. WeatherTech makes custom vehicle floor mats that the company sells direct to consumers and to car makers. The company has about 1,000 employees. WeatherTech's marketing thrives on the principle of manufacturing in America. The Super Bowl commercials seem to work great for the company as they are back for the third time. The 30 second spot costs the company about $5 million just in fees to CBS. Watch the WeatherTech Super Bowl 50 Ad "Resources" below.